One of my best memories of childhood was the wonderful feeling I got at the beginning of the school holidays. The prospect of weeks of days spreading ahead with absolutely nothing to do – except have fun! My family didn’t go away on holidays much: all my overseas travel I have done as an adult, and we only travelled to see family in Townsville, Canberra and Melbourne on a few occasions. Most of our holidays were spent at home and we made the most of what was before us: our back yard, our friends and the park two blocks up the road. Children are spending more than half their spare time in front of a screen after embracing smart device technology, a study has found. 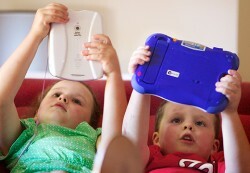 Tablets and smart phones have joined TV as the major entertainers of children, the New Generations study found. Kids spend more than half their spare time in front of devices, sparking concerns children are not spending enough time interacting with real people and getting exercise. More than half of the children surveyed had a smart phone and two-thirds of children have used an app device, the study found. 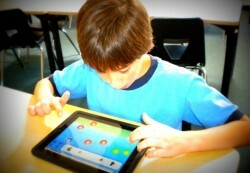 On average children are accessing 7.1 apps a month. Could video games help kids with dyslexia? Not too many parents would ever encourage their children to spend hours playing video games, but new research suggests some games might actually be beneficial to kids with dyslexia — at least in the short term. 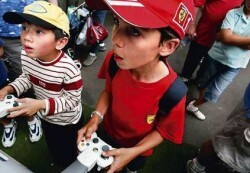 The new study comes from researchers in Italy who found that action video games might make children with dyslexia read better. 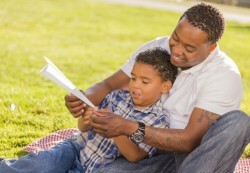 In fact, they say that 12 hours of video game play did more for the children’s reading skills than what they could be expected from a year of traditional reading treatments or even spontaneous reading. 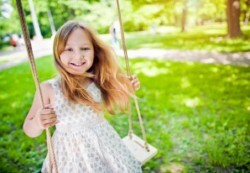 It can be tempting to overschedule the kids, but it’s time to get serious about goofing off. A conference held last week at Clemson University on the value of play with sessions like “The Lasting Effects of Play Deprivation” and “Shaping Tomorrow’s Female Leaders Through Play,” formalized the perspective among many childhood development specialists that play isn’t just fun. It’s essential to intellectual, social, and emotional growth. It’s not rare for parents to hand over their iPhones, iPods, or iPads to their kids to play around with as a much-needed distraction, whether at home or a long car ride. But, kids are more tech-savvy nowadays and can easily navigate their way around these devices, and that can lead to some very expensive problems. The BBC reports that the issue—which has since been rectified—is that, prior to the release of iOS 4.3, in-app purchases could be made without needing to enter a password during the 15 minute window after downloading a new app. Children between the ages of 8 and 18 spend an average of 53 hours per week on electronic media. 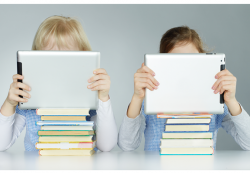 How to bridge the digital gap. Meredith Marx remembers family game night and how she, her brother and their parents gathered around the dining room table to talk, laugh and move game pieces around the boards. It was a fun way to reconnect and unwind. In the wake of the Sandy Hook massacre, people are finally motivated to look more closely how society fosters aggression. Some blame technology and the media—pointing a finger at violent video games and violent television shows and movies. A cellphone game for kids about U.S. geography, «Stack the States,» gets rave reviews from parents. Its creator, Dan Russell-Pinson, considered making the 99-cent app better by adding a feature to allow children to play online against one another. But with the Federal Trade Commission issuing more stringent online child privacy rules, he’s not even pursuing the idea.